True to size, but at the front somewhat narrow and NOT suited for a wide foot. New limited collection! Lola Ramona - Shoes With An Attitude! How cool are these?! 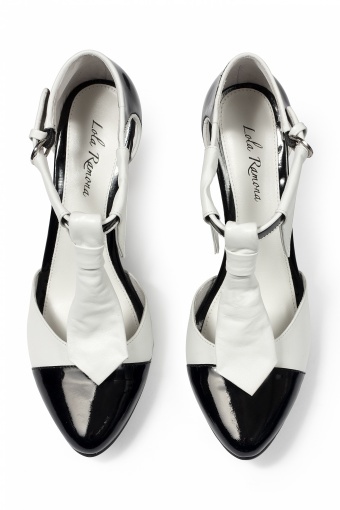 Stiletto White Tie off white & black with and edgy striped queenie heel.